Though history studies the past, its online programs are up-to-date. Keeping up with school is hard when you’re on the go. 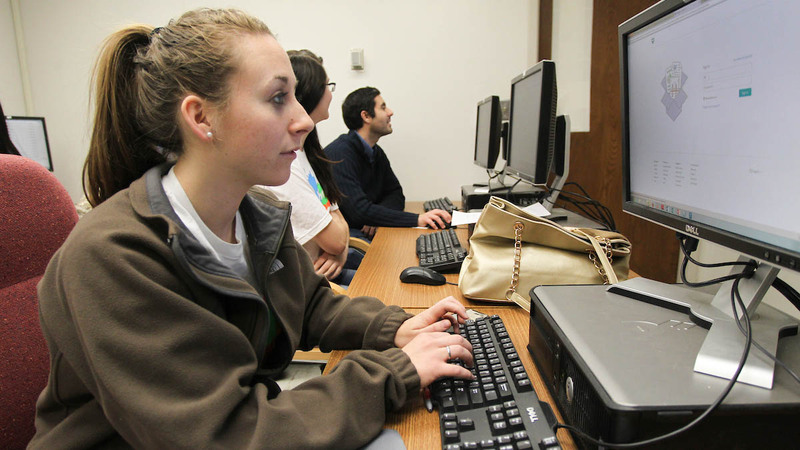 Online programs alleviate the stress of going to a seated class. That’s why the history department has one of the oldest and most well-established online programs at Missouri State University. SR Education Group saw the history department’s dedication to online programs and recognized it in two categories: Best Online Colleges and Most Affordable. Part of this success is due to the online programs and the seated programs working together. Both programs are required to meet the same high standards. Missouri State ranked No. 1 on the 2018 Best Online Colleges for master’s degrees in history. “We offer all of the options of a seated program online. For instance, you can write a thesis,” Nelson said. MSU was noted for affordability and an exceptional academic program. The criteria for the ranking was for having more than 10 online degree programs, low tuition rates, academic strength in the programs and university accreditation. MSU finished No. 3 on the 2018 Most Affordable for master’s degrees in history. This included categories such as online program offerings and tuition cost. With many classes offered online and seated, online students can choose from any of the degrees offered. Students choose from three tracks: American studies, global area studies or U.S. and world studies. There are also options that blend history and education courses. The history department also offers an accelerated master’s option for eligible students.